For freshman through senior-level courses on Critical Thinking, Cognition, or Problem Solving. 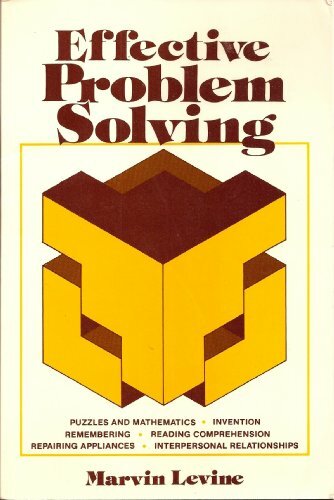 This brief survey of creative problem solving offers a collection of specific, practical procedures that one should use for various classes of problems ― ranging from machines that need repairing, to mathematical puzzles, engineering problems, poorly defined industrial problems, comprehending lectures and reading, remembering information, invention, and difficulties between people. The principles ― which are based on research and theory in cognitive psychology ― are applied to problems in daily living and focus on how to overcome one's own limitations in trying to solve a problem. Students thus learn principles for dealing with problems as well as what it is about themselves that can make the problem more or less difficult. 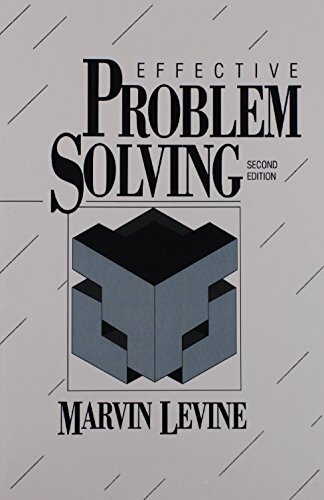 This brief survey of problem solving applies a series of prescriptive principles to a wide range of domains, including appliance repair, mathematics, logic puzzles, reading comprehension, remembering, invention, and interpersonal problems. The sheer breadth of application makes this an uncommon text.